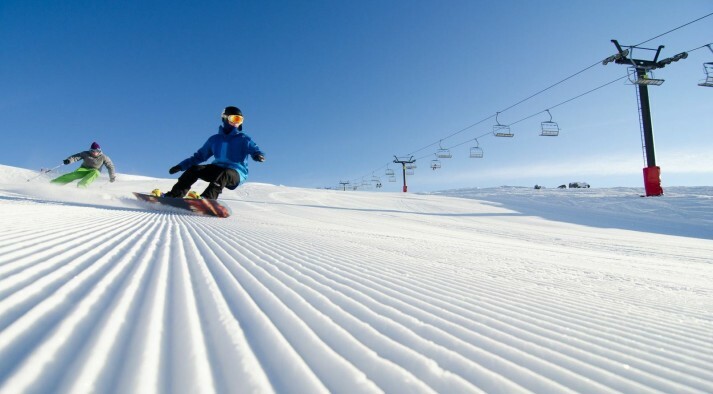 Cardrona Ski Field is a big favourite among locals and international visitors alike. Known locally as Cardies, it is situated just 35 minutes outside Wanaka and only 60 mins from Queenstown over the Crown Range. Once you get to the car park (hopefully in one piece) then you can either walk to the lifts or catch what’s loosely termed as shuttle, it’s basically a 4x4 with a trailer on the back (the term cattle class springs to mind!). If you forgot to eat breakfast in the morning you are in luck because Cardrona boasts five eateries, which offer a wide range of great food. The four main cafés are at the base area and serve your usual suspects - pies and fries downstairs with the Mezz Cafe upstairs serving fancier fare. Head over to the Captains bowl and you will find the Captains Pizzeria, which not surprisingly sells pizza. Personally my favourite is the Noodle Bar back at the base area, it's not cheap but they ain't shy with the helpings. Also at the base area is the ski school, rental department, shop and ticket office. In no time at all you can be on your way (a little bit lighter in the pocket no doubt!). Weekends and holidays can get busy so either get there early (before 9) or be prepared to wait (don't moan about the lines- nobody likes a whinger!). If you need to catch up on your beauty sleep then have a sleep in and you'll breeze through. 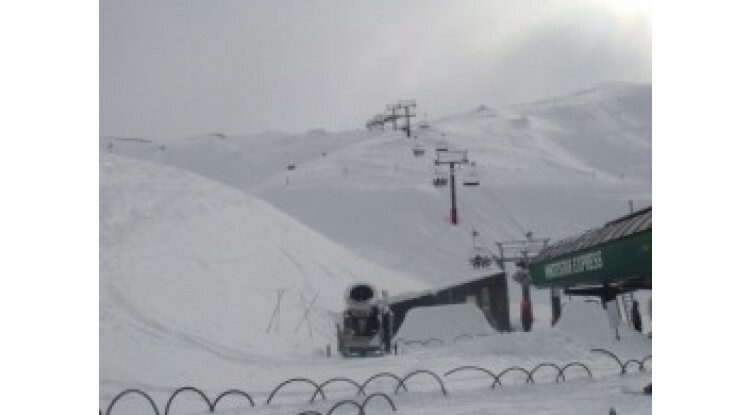 Over the summer (2010) Cardrona have added another fixed quad chairlift, bringing the number of chairlifts up to four (the most on the South Island) and opening up more terrain, bringing total skiable area to 345 hectares and increasing the vertical drop by 250 metres. Cardrona have taken recycling to another level, and have used the old Captains four man. So they now have two quad fixed (slow) and two quad express (fast) lifts. Just off the base area is the ski school area with 3 carpets and 1 platter, you don’t need to be in ski school to use this area though! The terrain is 25% Beginner, 55% and 20% Advanced. These figures do not however tell the whole story. Sure if you want to spend all day on steep stuff then Cardrona is probably not for you, although there is some gnarly stuff to be had in The Arcadia Basin. 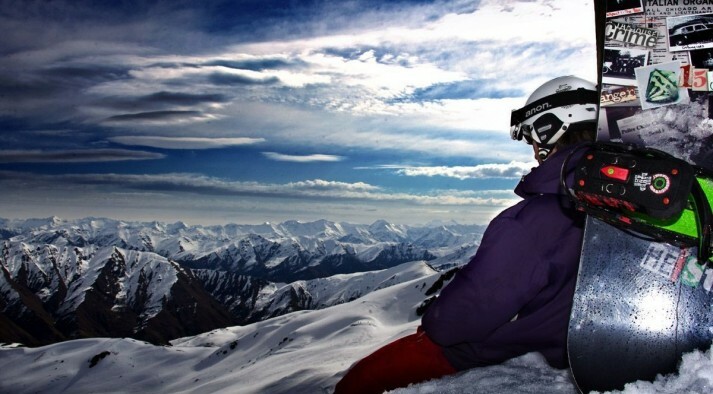 The beauty of Cardrona is the wide open trails that spread out over three bowls. You can spend all day cruising, mixing it up by dropping off natural lips and kickers, and never get bored. I also like the fact that it never gets super crowded and on any given day you can almost always find a completely empty run to scare yourself witless down. 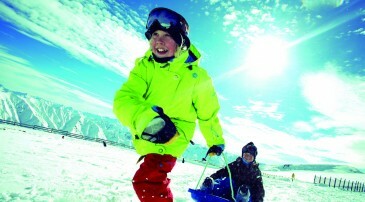 If you like to spend your day upside down and sailing through the air while spinning Cardrona can help you there too. Over the last few years they have been investing in the terrain park and now can offer 3 parks to play in with some mad kickers. They also have 3 pipes (3 really is the magic number!) 2 halfpipes and an Olympic Superpipe. Local legend Jossi Wells calls the mountain home (World Freeski Champion) and some dude with bright red hair often tries his new tricks in the pipe before winning the Olympics! We love Cardrona. It doesn't try to be something it's not. So it's not the steepest mountain, with the most terrain, the best powder or even the best car park. But what is does do is offer an all round fantastic day out, the groomed runs are great, they have an excellent park, the staff are fun and helpful and on most days the sun shines (ok maybe that's pushing it, but you get the picture!) So yeah - we Love It!